To find the true ‘Old Florida’ and the history of what made the state what it is today, one must get off of the Interstate, out of the city and head down the two-lane blacktop to seek out the state’s disappearing history. You will be surprised at the sometimes quirky, weird, and wonderful Florida that is still there for you to discover. We have been wandering the state for several years seeking out these historic gems; and we have years of exploring still to do. From the end of the Turnpike in Florida City you take US 1 for 125 miles to Key West. 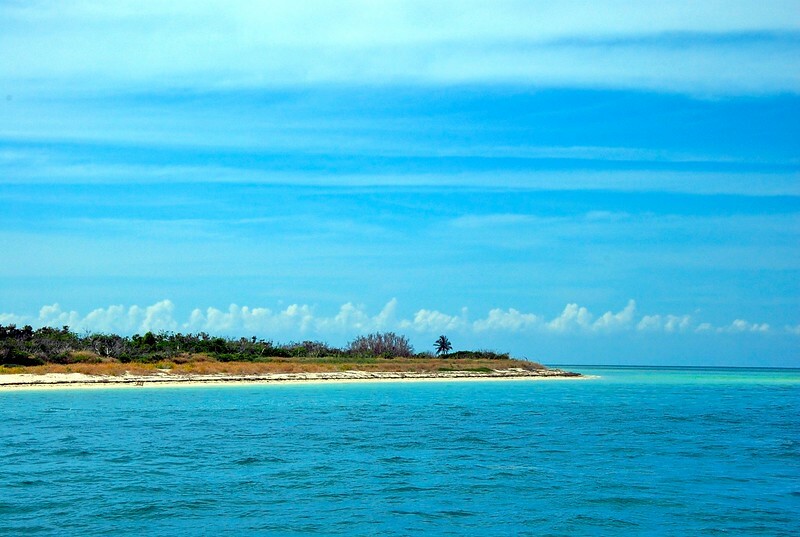 At the Key West Bight you head west by boat thru the ‘Lakes’ for another 12.5 miles to the last island in the string of outlying islands and there it is. Boca Grande Key, with a lone palm tree and a sandy beach; this is Old Florida!